I've been waiting to try this one. I'm amazed that I was able to keep away from it for so long. It's been sitting in my fridge for a few weeks now. 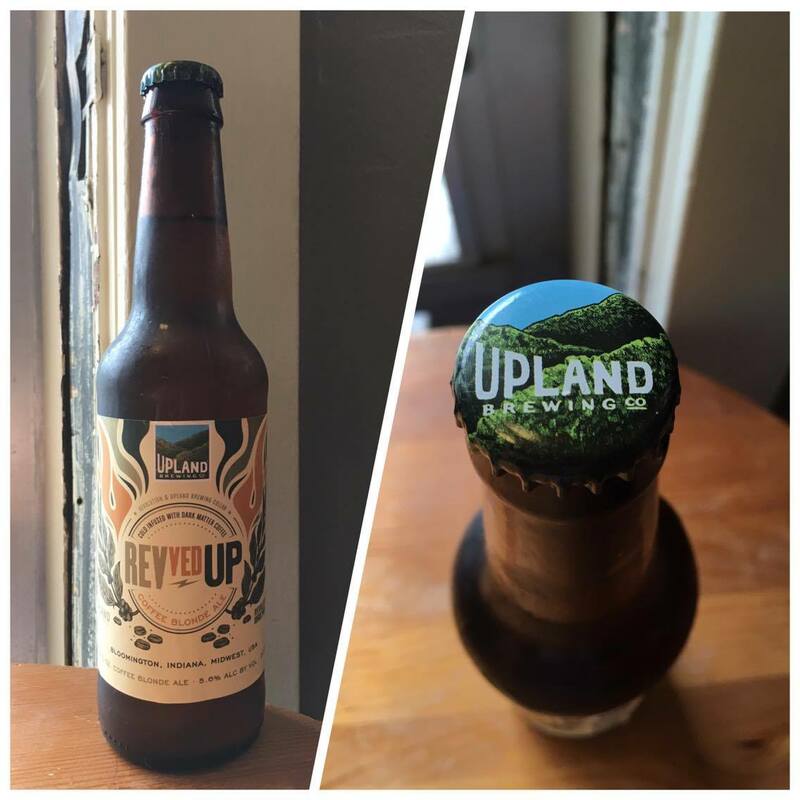 If you'll recall, my previous (and only) experience with Upland was extraordinary. It ended with my giving Bad Elmer's a very serious 9.5/10. So, needless to say, I have high hopes for REVved UP. Compound this with the Schlafly coffee blonde I had a few months back, and my frothing demand for this brew increases. Go figure, too. 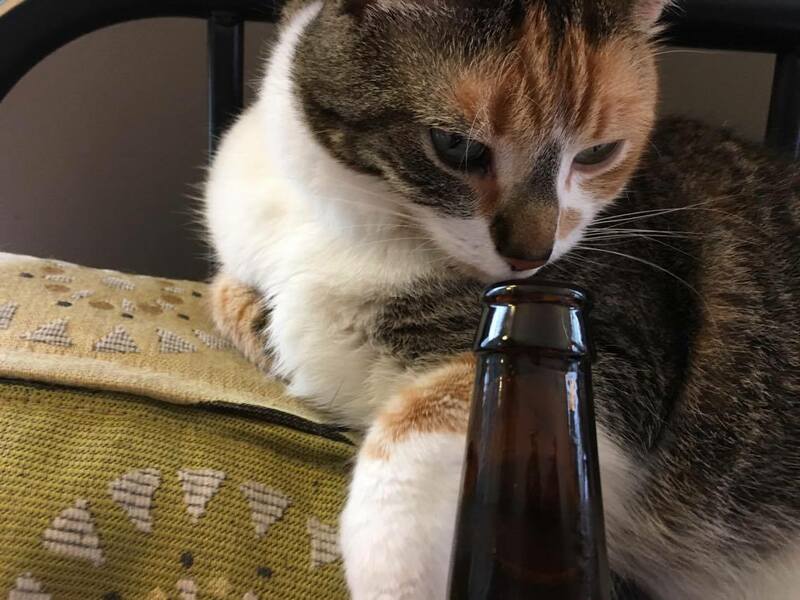 I like other beers from the brewery. I like other beers in this style. I'd have to be a fool not to want to break into this bottle. 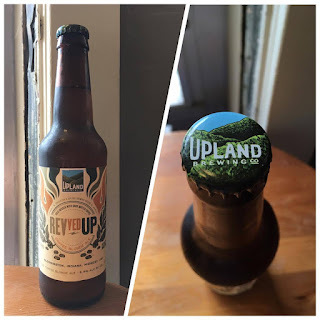 Upland Brewing Company is located in Bloomington, Indiana, a state that was shaped by glaciers thousands of years ago. Upland was founded in the Indiana uplands (a rugged, hill-covered region just south of the glacier's reach) in 1998. They've been brewing there ever since. REVed UP is a collaboration between Upland and the Chicago-based Revolution Brewing (look for more on that brewery during a post next month). According to it's official page, the blonde ale (which boasts an ABV of 5.6%) is a light-looking brew with a robust malt profile that showcases the Dark Matter Coffee it contains while bolstering it with a roastiness you'd find in a much darker brew. My first impression of the ale's aroma is all blonde. It's a distinctly loose summery scent that that is powered by both the malt and the yeast. However, when I dig a little deeper, I find the coffee and the chocolaty-ness that powers the ale's heart. It's a richly full aroma. 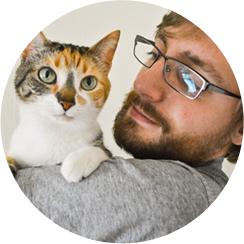 Purrl, who hates coffee, gave it, of course, only three paltry whiffs. The flavor is something else. I get the roasted malt chocolaty-ness described on the blonde's about page (linked above). The coffee, I find, doesn't permeate the ale's taste as it does the aroma (it's most evident in each swig's finish), but I am picking up on a woody character in the ale. It adds more heartiness to this crisp-yet-rich coffee blonde. REVved UP's mouthfeel is also something else. In a straight swig, it goes down smooth. But, should you give it a quick swish it'll foam up pretty instantly (I recommend that swish, by the way--that's what gives you the most of the ale's coffee offering). The brew doesn't bring up any specific memory that I can pinpoint. Probably because what it calls to mind is an occurrence that happens pretty frequently (that frequency is sure to increase now that it's summer): I wake up and it's raining. I wander into the kitchen, fill the make with water and grounds, turn it on, and stare at the warm rain out of the nearest window while I wait for coffee to brew. The window's (especially since it's summer) always open. It's soothing--the warm air, the sound of the falling rain, and the aroma of the pot filling with hot coffee. REVved UP continues my faith in Upland. It warrants an 8.5/10. Good stuff. Be sure to grab it if/when you can!